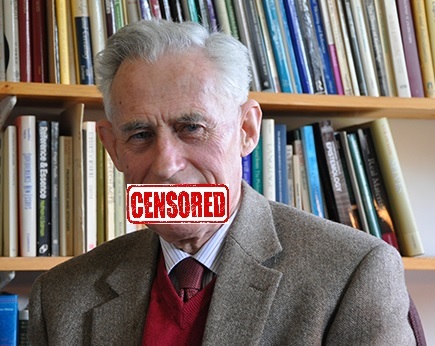 Rocking with Hawking: Swinburne should be censored! My FB friend David Sinclair has raised some questions crucial to being a responsible human being: "Are there any limits on the dehumanization of people groups? Is a biblical case for white supremacy, for example, within the realm of rational discourse? Apparently, Swinburne pathologized gay people. Isn't that beyond the pale? What other group could you describe as sadly inferior humans? Jewish people? Women? There are certain notions in the 'free exchange of ideas' that deserve censure. I certainly wouldn't condone the position that all Christians are unfortunately mentally incapacitated...would you? Sure, one shouldn't normally condone racism or sexism. But how is homosexuality analogous to race or gender? That's simply assumed without argument here. Yet an argument is vital in the case at hand. For that matter, how is the belief that "all Christians are unfortunately mentally incapacitated" analogous to racism or sexism? How did what Swinburne said describe homosexuals as "inferior humans"? As such another unargued assumption seems to be if one "pathologizes" a group of people, then they have "dehumanized" the same group of people. If I said the Japanese have a high incidence of mental illness (e.g. major depression associated with suicide), and we need to help cure them, thereby I suppose "pathologizing" the Japanese, how would that entail I've described the Japanese as "inferior humans" or "dehumanized" the Japanese? Is this meant to suggest society ought to label speech against homosexuality hate speech? If so, then on what basis? I don't know, but if it is, then my best guess would be on the basis of offense. It's just offensive for people like Moser and Sinclair to hear homosexuality called a "disability" that should be cured if possible. If that's the case, then, for one thing, this cuts both ways. It's offensive to Christians (among others) to hear they should morally condone homosexuality. So how should society adjudicate between "offenses" here? That's a debate for another time. However, for the Christian, the first and final port of call for adjudicating homosexuality should be the Bible, relevant passages properly exegeted, in light of biblical and systematic theology on the matter. Ironically, Moser is a professing Christian. Thus, he should either accept what the Bible teaches in full or renounce his Christianity for consistency's sake. Instead, he seems he'd prefer to pick and choose the parts of the Bible with which he agrees largely based on his liberalism. His liberalism is what really arbitrates what's acceptable and what's unacceptable in the Bible, not the Bible itself. Or would people like Moser and Sinclar think it's simply intuitively wrong to say what Swinburne said about homosexuals and homosexuality? If so, then people like Moser and Sinclair are so provincially minded. They're stuck in the small world of 21st century liberal America. However, most peoples throughout history and most non-Western peoples around the world today have far different intuitions on homosexuality than people like Moser and Sinclair do. I'm not limiting this to Christians, but also most Jews, Muslims, Buddhists, Hindus, Africans, Asians, South Americans, and so on. Swinburne's statement on homosexuality is arguably more in line with the rest of the world's thinking than the thinking of insular liberal Western academics like Moser. Of course, I'm not suggesting intuitions are truth, but rather responding on these grounds.